In verse 5, we are commanded to commit our way to the Lord. The word commit in Hebrew is “galel” which means “roll on with”, “roll away” or “remove”. 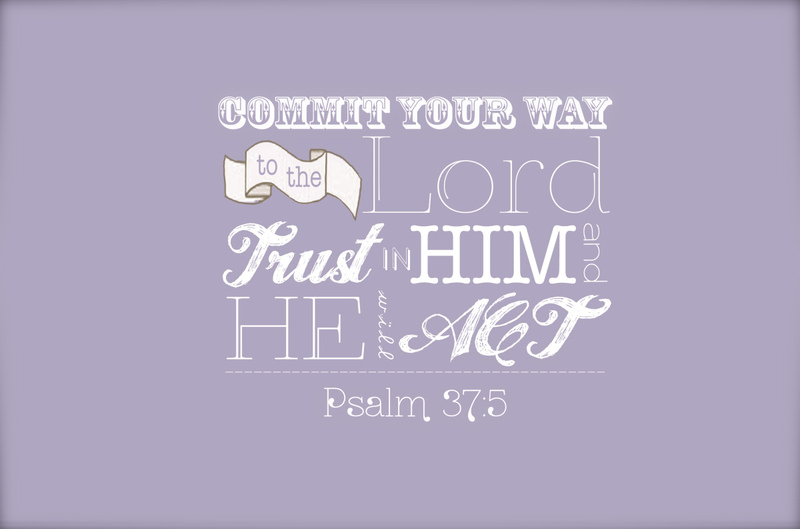 To commit our way to the Lord, implies that every circumstance we face, every decision we need to make, every detail of our life, we are to surrender it all to Lord, rolling our cares, concerns, thoughts, and actions on to the only One who can faithfully navigate our course. This can be ever so difficult when we are sitting right in the middle of circumstances that we don’t like and wish were different. When this happens, we can be so easily tempted to worry and take matters into our hands, thinking we need to navigate the course ourselves so that we can achieve a resolution to our “wait”. How I have loved thinking this past week how deeply God understands each and everyone of us. He knew our hearts would often run to do just this – try to solve things ahead of Him. With perfect understanding of our hearts, He doesn’t tell us just once to trust Him. He tells us twice! In the midst our difficult circumstance of…feeling wronged…stress…illness…waiting… financial difficulty…broken heart…unanswered prayers…(name your difficulty)…we must do this – we must continue (some days over and over) to trust our Lord. Rely on Him. Be confident in His provision. Why? Because His plan and purposes are perfect. Because His ways are so much better than our own. Because He has already seen every moment of our lives. Because he already knows each and every one of our struggles. And this too….He knows how the story of each of our lives is going to end! Do you believe this? Do you believe that God is able to guide you? Do you believe that God can do more than you could possible dare to imagine with your difficult circumstance? If you are fretting over your circumstance, I would encourage you to really think about these questions. Take a moment and read this verse a few times over and over. Let God speak to you as you read it. 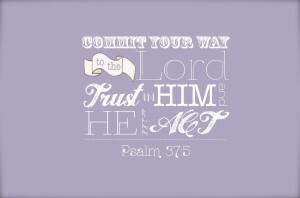 What situation in your life do you need to commit to the Lord? Do your thoughts and actions reflect that your are trusting the Lord or fretting? When thoughts of discouragement fill my mind, I find it helpful to praise God for His promise that He is able to take my current difficulty, and through His great power, bring something out of it that is beyond my wildest mind-blowing expectations. As I do this, I find my heart easily turns back to committing and trusting. 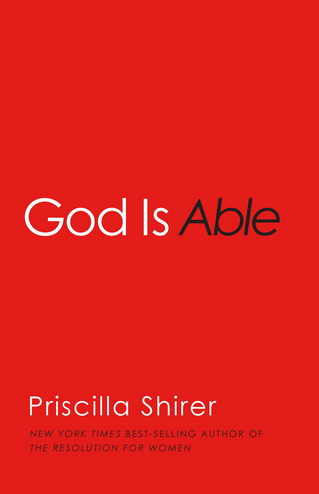 I am currently reading God is Able by Priscilla Shirer. I excitedly reach for it every moment I can. I promise that you will LOVE reading this book! I am being reminded of the power behind God’s words when He tells us that He is able! Have a grace full week learning to commit and trust!